Public art is artistic expression presented in two or three dimensional form and installed in places where the public has regular access. It can be situated indoors, in places such as shopping malls, civic centres or libraries or outdoor spaces such as parks, road reserves, car parks and along pedestrian corridors. Providing the public has regular and easy access to the artwork, it can be virtually anywhere. Public art can be permanent, temporary or ephemeral and it can take many forms including paintings, sculpture, sound installations, text, photography, projections or involve street-scaping that has been artist designed. It can be of any scale with the size and nature of the artwork often influenced by the surrounding environment. 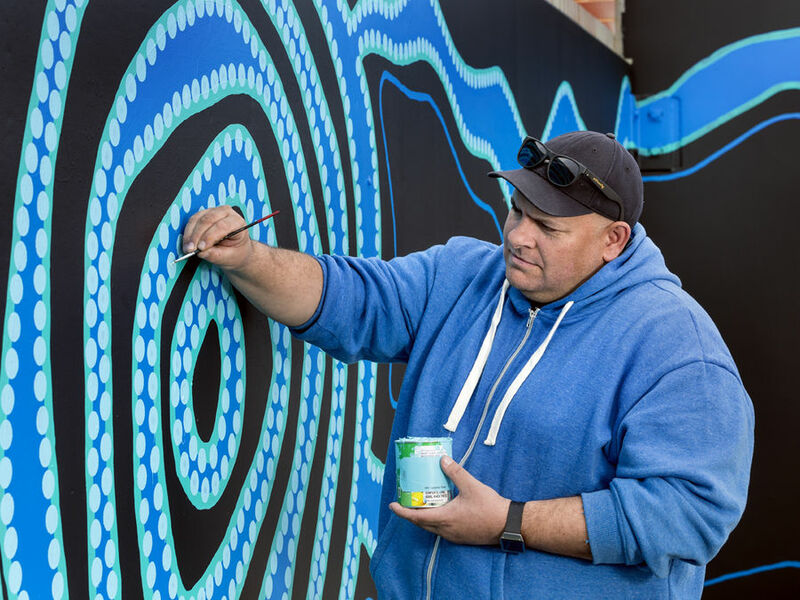 Creating or developing public art is often referred to as “commissioning”, with an artist or arts organisation “commissioned” to create a site-specific piece of art. Public art has an intrinsic relationships with the site it is located and both the artwork and the site generally inform each other. • A realist or abstract sculpture. • Imagery or decoration integrated within a building structure. • Prose or poetry inscribed in public places such as on footpaths or walls. • Digital artworks that may include moving or still images or sound. • A memorial place, figure or scroll. • A temporary artwork made from less durable or natural materials such as paper or textile. The development of public art can be instigated by anyone but given the public nature of it, governments at various levels are often involved, either as a service provider – providing funds or other support, facilitator, owner, custodian or regulator. Developers of public, private and commercial infrastructure often choose to include public art as part of new facilities or redevelopments and other entities such as community organisations, corporations and educational institutions commission public art for a range of different reasons.